The ANSO SuperScreen AirLED Semi-Outdoor Series are weather resistant screens. Super bright and ultra-light, with totally seamless screen construction! They are best suited for covered outdoor areas with high ambient light where traditional screens just don't work. With high-performance and cost-efficiency, this LED display quickly became the most popular type during 2012. Our Semi-Outdoor Series come in standard sizes of 3.75m2 (115"), 7m2 (160") and 11.25m2 (203"). Designed to maintain a widescreen aspect ratio, but we can also customise a size to your requirements. The AirLED Series is available in 3mm, 4mm, 5mm, 6mm, 7mm & 10mm Pixel pitch, which means we can optimise the best screen for your particular viewing distance. Pixel Pitch simply describes how far apart each screen pixel is. So, the smaller the pixel pitch the better the screen resolution. 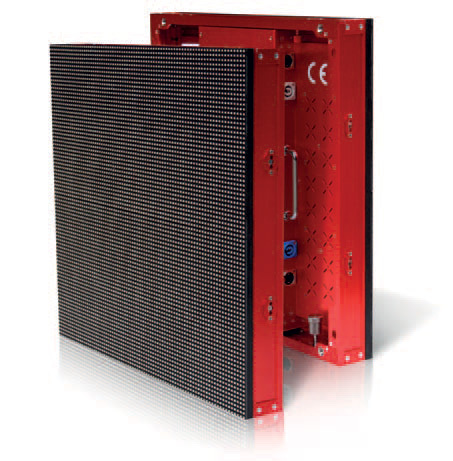 All AirLED panels use 3 in 1 SMD LED's. What does this mean? Well it translates to Red, Green and Blue are all in one surface mounted LED, meaning you get tighter resolution and sharper images on your SuperScreen. Want better contrast ratios? Up-spec your AirLED SuperScreen to black bodied or black faced SMD LEDs to increase your contrast ratio. The AirLED Range is built from aluminum components keeping its weight lower than any other options in the market. The panels design is built around quick and simple access making components easily replaceable during service or maintenance. All AirLED series now come with the new design advanced light trap louver. This enhances contrast and brightness performance in very bright areas. Seamless design - Panel structure made of precision extruded aluminium. The only decision you need to make today is "What size do I want?" leave the rest up to us.